Piloting a big rig is a lot of fun! If you prepare yourself for the challenge, respect the size of what you are driving, and practice safe habits while handling the rig, you will always arrive safely to your destination. How do you do that? Just follow these RV driving tips. The driver of a big rig is the pilot, or the captain if you will. It is a lot like being the captain of an aircraft with all the same complexities involved. Your job is to get your loved ones, and your home on wheels, safely to its chosen destination. And you can't do that without the help and cooperation of your crew. So, this is the first of the RV driving tips. The pilot is in charge and must have the support of all passengers, whether that is one or a whole family. The person sitting to the right is the navigator, not the co-pilot. The pilot needs that support in order to help navigate to your destination. Passengers should not be a distraction to the pilot, criticize if wrong turns are made, or create situations that upset the driver. It is the job of the navigator to inform the pilot of upcoming maneuvers but it is the pilots decision whether to turn, to stop, to go, or whatever is appropriate. The pilot will make mistakes but with the support of all passengers, the task of safely getting to your destination will be much more enjoyable for all involved. You can't have two people piloting the RV at the same time. There is only one pilot or driver at a time! You can share drivers, but having two at the same time only leads to anxiety, frustration, and unneeded stress. RV travel is supposed to be fun, so following these RV driving tips is essential to having an enjoyable trip. The second of the RV driving tips is know before you go! In other words, before the RV leaves its parking spot you should do several things each and every time. Just as a pilot does a pre-flight inspection outside the aircraft, you need to do the same with your RV. This can be one of the most important of the RV driving tips in order to avoid damage to your rig! You will want to check if all services are stowed away, that is, no umbilical cords remain, tires are at proper cold pressure, all engine fluids are okay, nothing is leaking underneath, check departure clearance of trees, curbs, and buildings, every internal item is secure, the TV antenna is down, etc. You get the idea! Be thorough! I recommend creating a departure list relevant to your needs. Create one and use it each time you move your RV from its parked position. RV driving tip number three involves your actions while on the road. A small RV is still bigger than even the largest car. You do have to make considerations while piloting the rig. You should keep your speed at a value that allows your RV to get the best fuel economy it can. The faster you go the more you will pay in fuel. You should also allow plenty of distance between you and the vehicle in front of you. 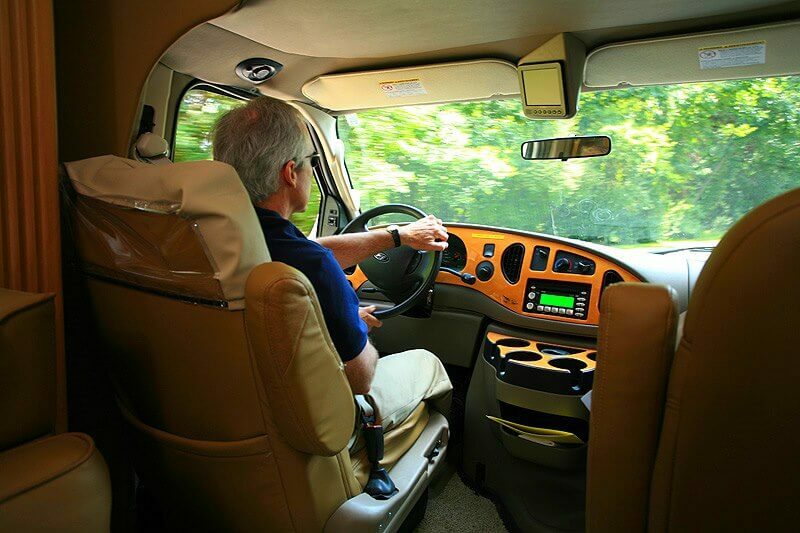 RV's do not stop as quickly as a car, so if conditions change ahead you want to be able to safely control your RV. Turning an RV seems to still be a mystery to many RV owners. Depending on the length, wheelbase, and tail swing of your RV, you have to make adjustments so you don't run over curbs, poles, tail swing other vehicles, etc. When making a right turn be sure to know who is around you before attempting the maneuver, stay in the middle of your right hand lane, and initiate the turn a little later than you would in a normal vehicle. The best way to know the limits of your RV is to go to a large empty parking lot and practice so you know exactly when to turn after passing any obstacles on your curbside. A little practice ahead of time will save lots of body work later on. While heading down the road you should be checking your rear view mirrors a couple of times a minute. That may or may not sound excessive to you, but take it from one who has logged tens of thousands of miles in an RV. You have to know what's going on around you so you can make adjustments as road conditions change. Also, know your RV's height, from the road to the very top which will most likely be your AC units. This is important when it comes time to safely go under older bridges that were not designed for twelve to thirteen foot tall RV's. Also watch those low hanging tree limbs. Hit one of those and it could cost you a new AC unit! When driving in a crosswind, depending on how your RV handles these situations, keep a straight line and hold position against the force of the wind on either your curbside, or roadside of the RV. When you pass bridges, or when trucks pass you and cut the wind, be ready to adjust for the decrease in wind and for the trucks wake turbulence. It's not as hard as it sounds; it just takes awareness and practice to safely handle windy days. The bigger and heavier the rig, the lesser the effect. RV driving tip number four involves getting your vehicle parked, whether at your destination or at a fuel stop. Leave plenty of room for departure. Try to avoid parking in a location where backing is involved. Watch fuel stop coverings and poles, deep drainage ditches that might force you to bottom out, other inconsiderate drivers who have no idea what driving an RV involves, etc. If necessary, let your navigator get out and walk you to a safe parking spot. Two-way radios are a great item to have in these situations as well as when getting parked in a campground. And the last of the RV driving tips involves backing your RV. This is where most RVers go into cold sweats. To avoid this practice is the key. Again, go to a large empty parking lot, set up cones, or whatever, and practice backing into what would be an RV site. If you knock cones over who cares. It's better than destroying your rig at an RV park with every one watching you. A little practice and you will have much more confidence when you need to get into a tight spot. The best way to approach parking your rig at RV parks is to see the site first. Pull up, get out and note all the obstacles you will want to avoid when backing onto the RV pad. Have your navigator, with a radio, act as a spotter to watch areas of the RV you can't see while backing. If you are backing in on your roadside, have your spotter watch the back end of the curb side, a place you may not be able to see. Go slowly! Backing a bus type or class C RV is easy. It's like backing a car, just bigger. But, a fifth wheel, or travel trailer is much more difficult if you don't know how. One of the RV driving tips I offer newbie's who are attempting to back trailers for the first time is to change hand positions on the steering wheel to make backing easier. Place your hands at the bottom of the steering wheel instead of at the top. Place them at four and eight o'clock instead of ten and two. If you want the rear of your trailer to go to the left, move your hands to the left. If you want the trailer to back to the right, move your hands to the right. Otherwise with your hands on the top of the steering wheel you are always fighting with turn right to back left or turn left to back right. Try this and you will be a much better backer after a long drive, especially when you are tired! So there are six RV driving tips you can try to make your RV travel even more enjoyable. If you practice a little to hone your RV driving skills, you will have a better chance of arriving to your destination much more relaxed and without any incidents along the way. Happy Travels! Franz and Hilga have been RVing for 10 years, and enjoying full time RV living for 4 years (they live 365 days a year in their RV). 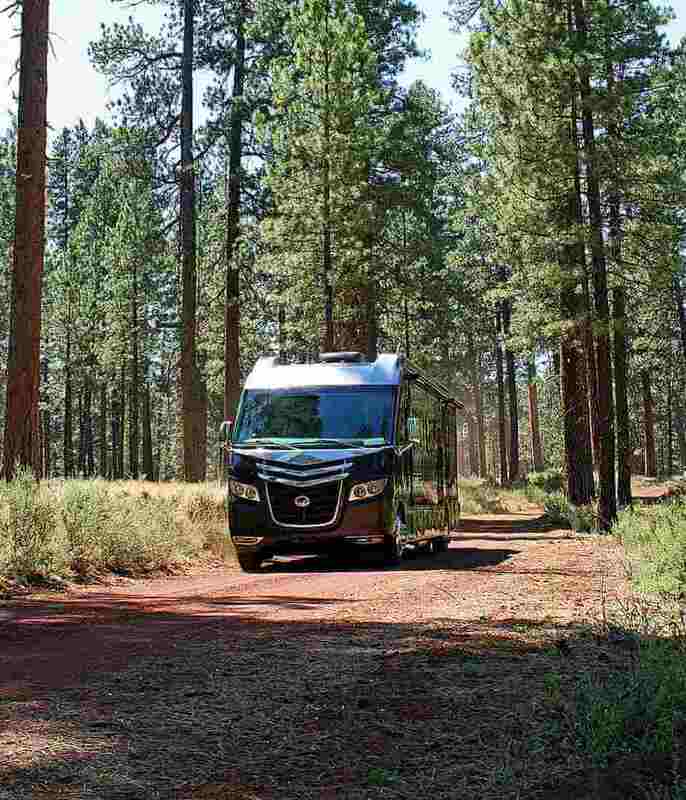 With over 50,000 miles traveled in RV's, they have many useful experiences to share. 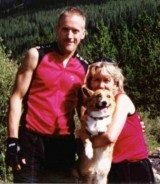 If you are interested in the full time RV living lifestyle, you can visit http://www.yourfulltimervliving.com for more articles, pictures, and updates.